‘Trust me, it will be a life-rewarding journey. Why should I be worried about such a unique trip?’ I said pensively to myself. 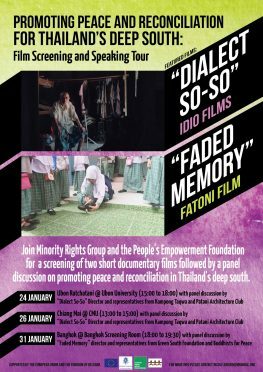 I had just accepted an internship with Minority Rights Group International to work on the so-called ‘Forbidden Zone’ of Thailand’s Deep South: Pattani, Yala and Narathiwat. As a fresh graduate from Mahidol University (Thailand) with a major in Southeast Asian studies, as well as an enthusiasm for travelling, I readily accepted the challenge. My mind was experiencing a moment of hesitation as I embarked on the ride from Hat Yai airport to Pattani. I carried the worry all the way until I arrived. Images of Pattani provided by the mainstream Thai media unavoidably flashed into my mind, with daily bombings and unending violence that have dominated for 12 long years since the conflict began. As we approached Pattani, my bubbly personality had quieted into an unusually calm version of myself. Even with these overwhelmingly negative images, I remained hopeful that this was a mostly biased portrayal of the Deep South. I grew up alongside a thriving Muslim community in my southern Thailand hometown of Nakon Si Thamarat, which has left me with a positive image of the religion and its people. I hoped that Pattani would also show me a similarly welcoming culture. 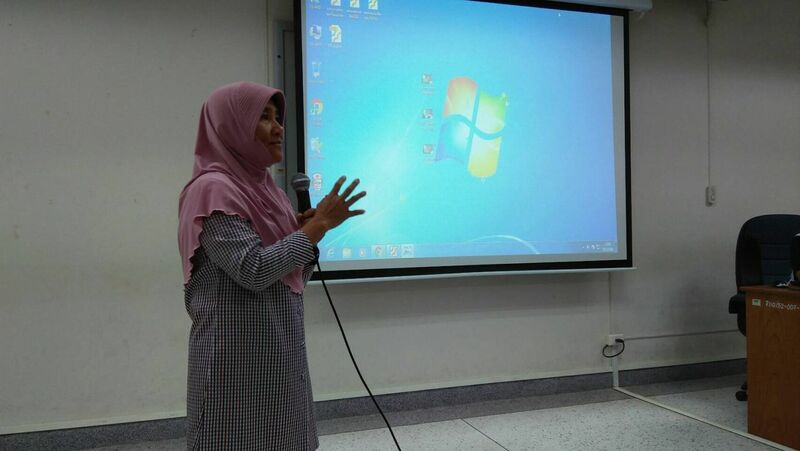 MRG’s EU-funded programme is entitled Promoting Peace and Reconciliation in Thailand’s Deep South. The focus was on building the capacity of local organisations to advocate and realise peace in their communities. 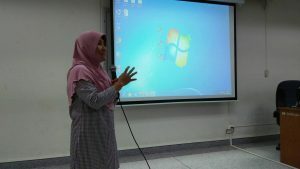 The first day of our programme after our arrival in Pattani, we attended an interactive session in the community of Thepa, where one of these local projects was taking place. Thepa is in one of the four districts of Songkla that is part of the historic Muslim sultanate of Patani, and is currently included in the definition of Thailand’s ‘Deep South,’ or Southern Border Provinces, as it is referred to by the government. Participants included representatives of MRG’s 10 locally-funded projects, a journalist, a researcher, the project managers, me, and most importantly, the locals in the area. Thepa is currently in the midst of a massive crisis, fighting to protect their community against a junta proposed coal-power plant. The project will impact the local communities considerably in a variety of ways, including resettlement of the local people, changes in their daily routines and incomes, as well as the environmental impacts on the coastal area and the harsh reduction of animal species. It may sound fair for the government to relocate affected communities if it provides the people with a safe resettlement site where they are able to develop themselves and continue their daily routines without large disturbances. This is not the case for Thepa. No resettlement deal has been publicly proposed, as confirmed by the government so far. When the project completes, the whole village will be engulfed by the power plant. Only the temple and mosque will survive. Without the Songkran Buddhist ceremonies and Friday Muslim prayers joined in by the communities, these places are meaningless. Estimates from local scientific researchers, environmental experts and the local NGO Green South Foundation, assert that the environmental loss as a result of the plant will lead to inevitable pollution of water and food resources. Fishery as an income-generating sector will no longer be viable as fish stocks are destroyed or polluted. As we all sat down on the floor of this house in Thepa, which will later be replaced by the power plant, we shared different thoughts and possible suggestions to help the community to protect their homeland. Throughout the discussion, feedback was made by media practitioners on improving the community’s resistance tactics on social media, strengthening their stance online and promoting public involvement from people in other areas. As I witnessed the locals becoming more hopeful as they listened to these comments, I stopped worrying and returned to my more talkative self as I started feeling the care and SALAM throughout the discussion on this rainy day. The visit to Thepa was followed by a two-day reflection program for all local organisations funded under MRG’s programme to report on their project successes, which included a panel discussion from human rights experts including professors from the local university, as well as one of the commissioners from the national human rights institution. Different projects experienced different results: some were highly successful with their current performance while some were still progressing to better and more effective realization of their long-term goals. There was one thing in common amongst these projects however, namely the heart and ambition to empower the locals not to only call for their rights, but to create a society that is free of conflict and allows them to achieve their rights as minorities. Throughout this short experience with MRG, it was reinforced for me that locals must be directly involved in determining the future of their own communities. This does not only apply for Thailand’s Deep South, but for communities everywhere. Minorities, less than 10% of this country, are entitled to the same rights as all other humans, as certified by Universal Declaration on Human Rights.